Through the partnership, Proforma Screening Solutions becomes the preferred provider of pre-employment background screening services for Guardian HR clients. January 16, 2018 (Purcellville, VA) Virginia-based background screening company, Proforma Screening Solutions, announces its new partnership with employment law and HR consultingcompany, Guardian HR. The partnership will allow Guardian HR clients to access high quality pre-employment background checks and preferred pricing from Proforma Screening Solutions. “Guardian HR understands that in today’s litigious and complex environment, employers must be careful to make well-informed hiring decisions,” remarks David Lowers, president and founder of Proforma Screening Solutions. “We combine a risk management mindset with background screening solutions that are aimed at lowering hiring risks, protecting against negligent hiring, balancing fairness, and giving employers the best chance at making the right hire the first time,” Lowers concludes. 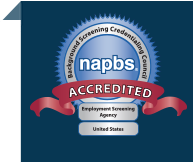 Proforma Screening Solutions is a pioneering firm in the development of cost-effective employment screening solutions to help employers make better hiring decisions. Proforma uses innovative applications of cutting edge technology to glean useful information from public and private data sources, minimizing the costs of doing so. As a unit of the Lowers Risk Group, Proforma Screening Solutions has access to a full range of practices to offer clients a single point for total enterprise risk management. “With the help of Proforma Screening Solutions, our clients can make better hiring decisions and manage their risks through background screening services that are easy-to-use, accessible, and compliant,” explains Michael J. Goldfarb, Esq., president of Guardian HR. Through its partnership with Guardian HR, Proforma Screening Solutions offers preferred pricing and specially-formulated background screening packages to help employers quickly navigate the services that will best meet their needs. Proforma Screening offers a wide range of employment screening services, including criminal background checks, drug testing, employment verifications, and much more. Learn more about Proforma Screening Solutions at proformascreening.com. Guardian HR clients can learn more about the partnership and access special pricing at guardian-hr.com.